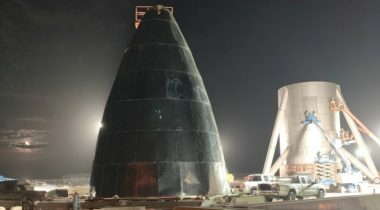 SpaceX could begin initial tests of a prototype of the company’s next-generation Starship vehicle as soon as this week, Elon Musk said March 17. 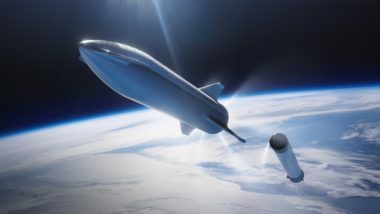 SpaceX Chief Executive Elon Musk says a redesigned test vehicle for the company’s next-generation reusable launch system could be ready for initial flights early next year. 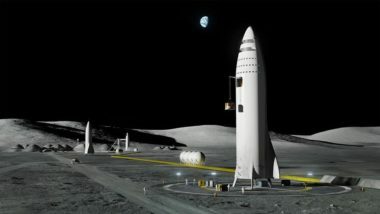 Two months after he unveiled a revised design for SpaceX’s next-generation launch system, Elon Musk suggested that the company is making more changes to the design. 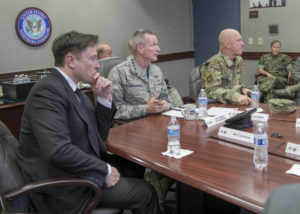 SpaceX Chief Executive Elon Musk says he supports the concept of establishing a separate Space Force, using an argument that mirrors statements made by administration officials. 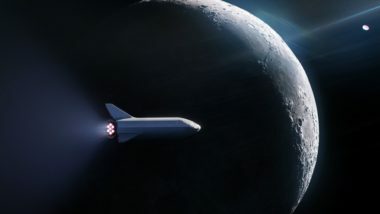 SpaceX announced Sept. 17 that a Japanese billionaire will be paying an undisclosed but significant sum to buy a flight of the company’s next-generation rocket for a flight around the moon carrying a group of artists. 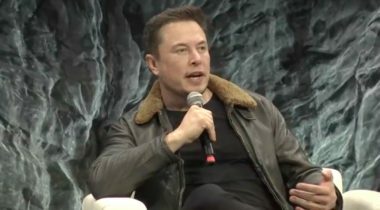 SpaceX Chief Executive Elon Musk said March 11 the company could begin tests of part of its Big Falcon Rocket (BFR) launch system as soon as next year, reiterating a schedule he provided last month. Whether it’s space or defense technology, successful innovation doesn’t come easy, even for SpaceX. 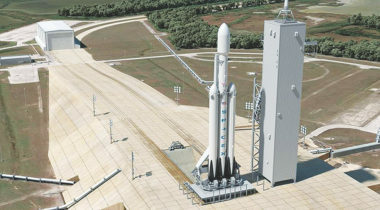 CEO Elon Musk revealed that the company almost terminated the Falcon Heavy program three times after it started in 2011. 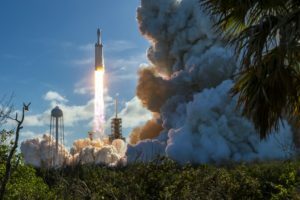 The images that attracted the most interest from the Falcon Heavy launch, though, had nothing to do with the rocket itself. 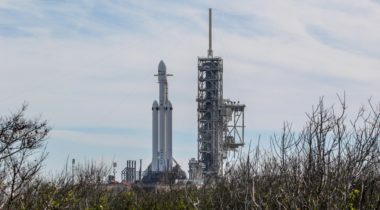 For several hours after liftoff, SpaceX provided a live feed from cameras mounted on the upper stage, showing its attached payload: a Tesla Roadster sports car with a spacesuited mannequin, dubbed “Starman,” sitting in the driver’s seat. 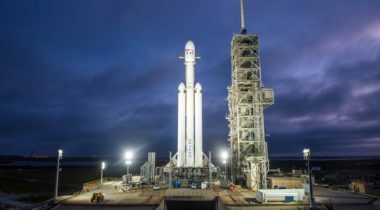 SpaceX Chief Executive Elon Musk said Feb. 5 that everything is going well for the inaugural launch of the company's Falcon Heavy rocket, scheduled for Feb. 6. 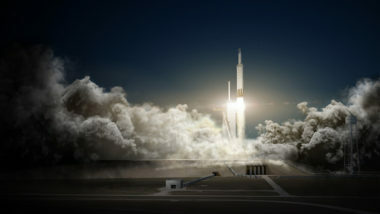 SpaceX Chief Executive Elon Musk said late Dec. 1 that he has selected the payload that will fly on the first launch of the company’s long-delayed Falcon Heavy rocket in January: a Tesla sports car. 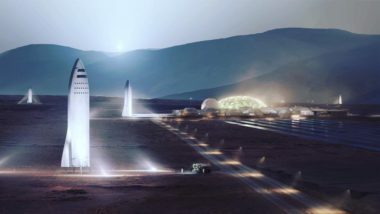 SpaceX Chief Executive Elon Musk disclosed additional technical details about his proposed BFR launch system Oct. 14, although he offered no additional information about the costs and financing of the vehicle. 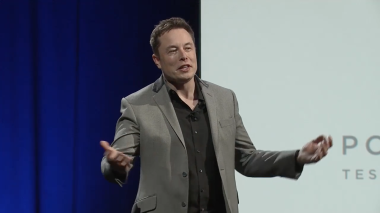 SpaceX Chief Executive Elon Musk announced plans to develop a revised version of a reusable interplanetary transport system that he said would be more affordable and versatile.